Just as we change our wardrobes with the changing seasons, so we should change our makeup routines. Our skin tone changes over the course of the year, and while makeup trends come and go, the classic idea of lighter and warmer in the summer and darker and cooler in the winter never goes out of style. 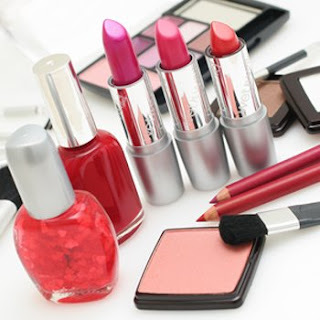 In this article, we'll take a look at some basic makeup tips to carry you through all year round. In the spring, our skin tones are typically still pale after little sun exposure during winter. Make sure you're using a foundation color that is appropriate for your skin tone with hints of warmer colors. Recently, trends conform with the classic spring style of rosy cheeks and pink or glossy lips, which can help give your face a healthy glow after the long, cold season. Experiment with lighter colors for eye shadow and don't forget eyeliner and mascara to bring out your eyes. In this season, try warmer mascara colors like brown to keep your tone warm. Much like spring, summer is about projecting warm and healthy. Acne is a concern for those with oily skin and thanks to hot weather, the lighter the foundation the better. Try a simple foundation powder or mixing a little liquid foundation in your hand with your moisturizer before applying. Don't forget to use a foundation or moisturizer with sunscreen protection! In the fall and winter, our skin tone begins to lighten while we typically use darker colors on our lips and eyes. Skin tone is typically darker in fall than in winter, so reevaluate your foundation color at the beginning of the winter season. Lips are typically darker reds with warmer tones like burgundy, while eyes are often dramatic, with a smoky look very popular in recent years.